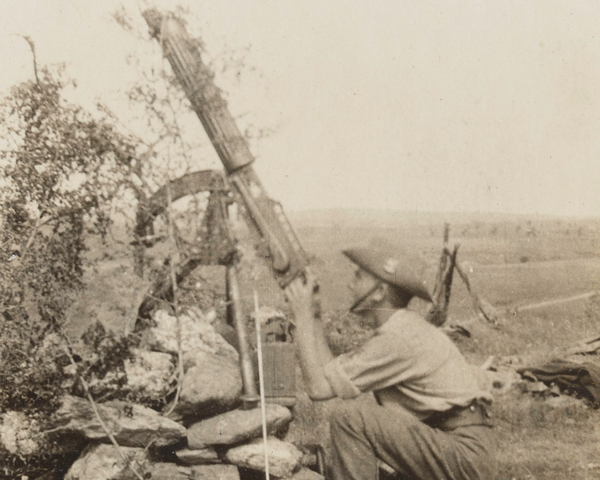 Between 1915 and 1918, British troops were part of a multi-national Allied force fighting against the Bulgarians and their allies in the Balkans. Although disease and the harsh conditions took a heavy toll, they eventually brought the campaign to a successful conclusion. Serbia was an ally of Britain and had successfully resisted the attacks of the Austro-Hungarian Army in the opening months of the First World War. But, in October 1915, the combined forces of Austria, Germany and Bulgaria overwhelmed her armies and conquered the country. The Serbs retired through the mountains of Montenegro to Albania, losing over 200,000 men in the winter snow. The survivors were evacuated to the island of Corfu to regroup. Lack of resources and political indecision among the Allies led to delays in the dispatch of aid to Serbia until it was effectively too late to help. It was eventually agreed to land forces at the vital port of Salonika (now Thessaloniki) in the northern Greek region of Macedonia. Greece was neutral and in some political turmoil. 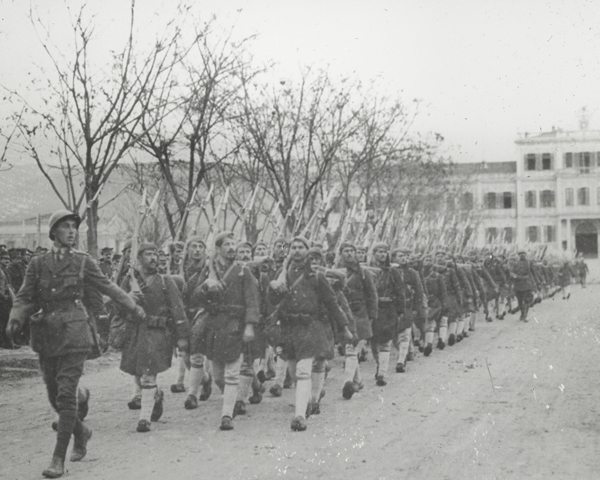 King Constantine was pro-German, while his prime minister, Eleutherios Venizelos, supported the Allies. French forces and Lieutenant-General Sir Bryan Mahon’s 10th (Irish) Division, exhausted after service at Gallipoli, began landing at Salonika on 5 October 1915. The 10th Division eventually went into the line in the mountains around Kosturino in November as the Allies attempted to block the Bulgarian advance. Unfortunately, the troops had not been equipped for a winter campaign in difficult mountain terrain. By the end of November, more than 1,600 men had been evacuated from the division, many suffering from frostbite. 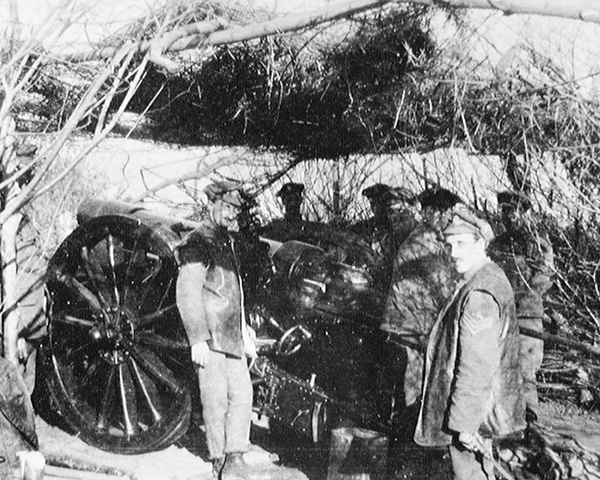 Apart from artillery exchanges, little fighting took place until 6 December when the Bulgarians attacked following a heavy bombardment. Fighting alongside the French, British units fought off several assaults on their positions. Outnumbered and lacking sufficient artillery, the Anglo-French forces fell back on Salonika. Luckily for them, the Germans prevented the Bulgarians from continuing their advance into Greece, as they still hoped to win the Greeks to their side. 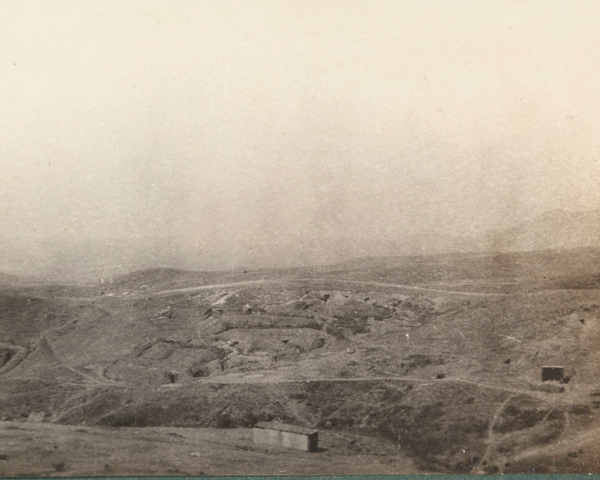 Nevertheless, fearful of a Bulgarian assault on Salonika, and uncertain of neutral Greece, the Allies spent the first half of 1916 constructing a fortified line known as ‘The Birdcage’ in the hills around the city. The Bulgarians did not attack Salonika. And the Allies, once re-inforced, were able to advance north and west during 1916. They established a front line that ran from the Albanian coast through northern Greece to the Gulf of Orfano on the Aegean Sea. 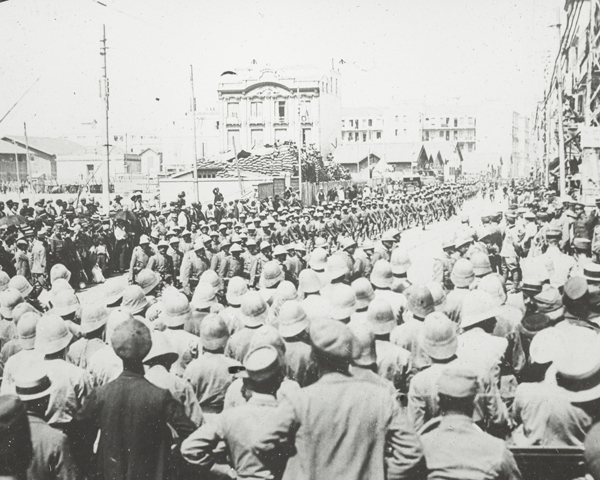 This ‘Army of the Orient’ was a multi-national force under French command. 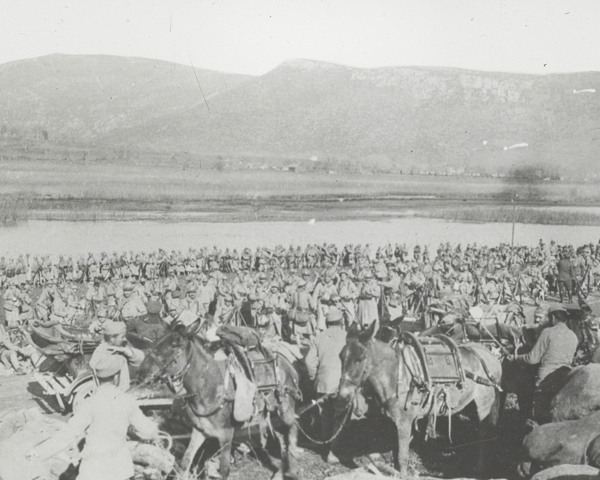 French, Serbian, Russian and Italian forces manned the western portions of the line and successfully captured Monastir in Serbia on 19 November 1916. British formations held the area east of the Vardar River, the trenches west of Lake Doiran, and patrolled the Struma Valley to the east. At its utmost, Lieutenant-General George Milne’s British Salonika Force (BSF) eventually numbered over 200,000 soldiers. These men faced a boiling summer climate and many succumbed to heatstroke. To counter this, travelling was usually undertaken at night. 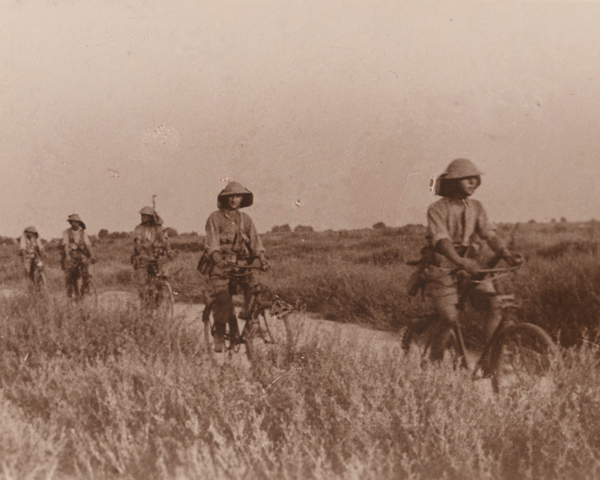 British troops in the Struma Valley used cyclists and cavalry to patrol and fortify villages in order to deny them to the Bulgarians and Turks. 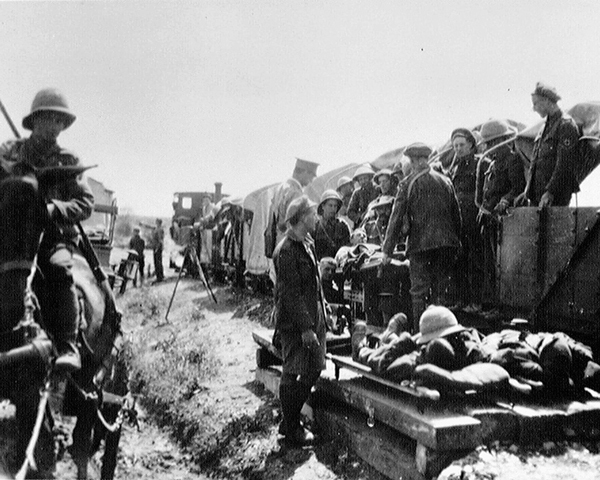 Both sides evacuated the valley in the summer, owing to the prevalence of diseases like malaria, which alone caused 160,000 British casualties during the campaign. ‘Marching is very hot and tiring and we get a thirst which no amount of drinking will satisfy; our water bottles are very precious things. Our bottles are filled before moving off and no man must drink until the order is given, although we get a longing to empty the bottle in one glorious drink. The water men have difficulty in keeping up the supply, which has to be carried in leather bags on the mules. We go a long way up the Seres Road, one of the few decent roads in the country, then branch off… I begin to lose interest in life and when we lie down again would like to stay there and die, but there is some strange force which says “stick it” until you drop from sheer exhaustion… Through the endless night we put one foot in front of the other, aching in every joint’. 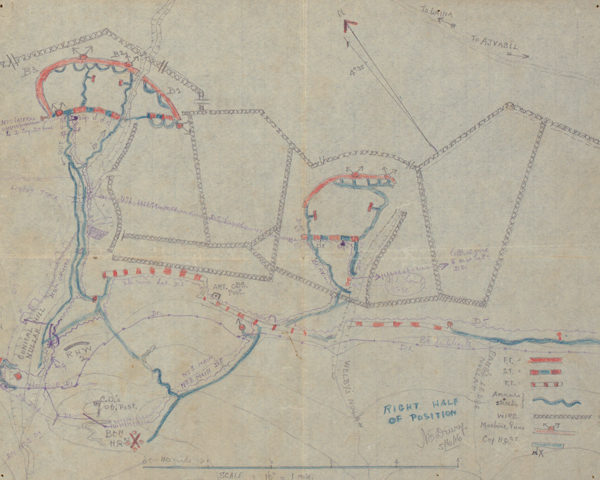 In April 1917 the British 22nd, 26th and 60th Divisions helped attack the defences around Doiran and on the Vardar as a diversion from the main Franco-Serb offensive to the west. They were repulsed and the main attack also failed. 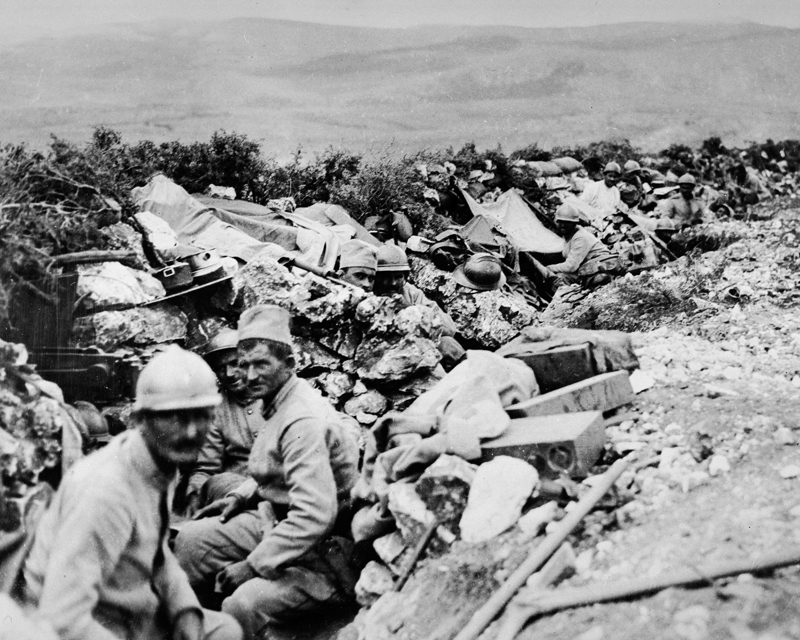 The front line thereafter remained more or less static until September 1918 when the Allies, now including Greece, launched a new attack at Doiran. Once again the British-Greek assault failed, with the attackers sustaining over 7,000 casualties, but the Serbs broke through in the mountains to the west. With no reserves and a starving population at home, the Bulgarians were forced into a general retreat, harried by the pursuing Allies. Bulgaria finally signed an armistice on 28 September 1918. The army in the Balkans was criticised at the time as a waste of men and material, with the troops there having an easy time. However, drained of strength and morale by the harsh conditions, the poorly supplied BSF managed to bring about a successful conclusion. The campaign ended with the defeat of Bulgaria, liberation of Serbia and strategic exposure of Austria and Turkey. 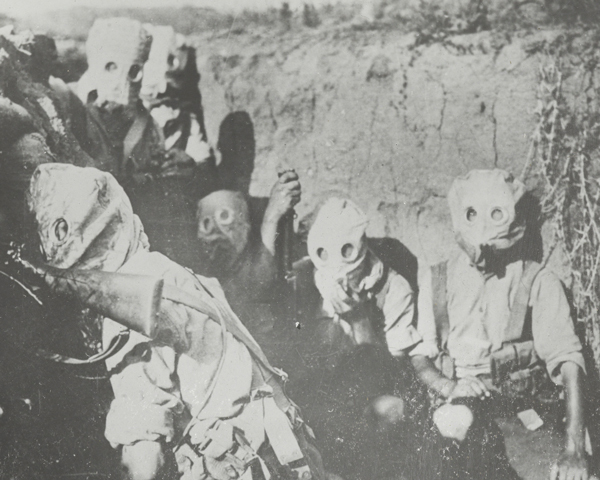 Despite these successes, the Balkan Front has become one of the forgotten 'side-shows' of the war. Gallipoli was the first major amphibious operation in modern warfare. In 1915 British Empire and French troops landed on the Ottoman-held peninsula in the Dardanelles Straits with disastrous consequences for the Allies. During 1915, the British and French undertook a series of unsuccessful attacks against the Germans on the Western Front. For both sides it was a tough learning experience. 1916 witnessed two of the longest and most notorious battles of the First World War. Both resulted in hundreds of thousands of casualties for both the Allies and Germans on the Western Front. Over 3 million soldiers and labourers from across the Empire and Commonwealth served alongside the British Army in the First World War. In September 1916, the face of battle changed forever. On an unsuspecting enemy, Britain unleashed its new secret weapon - the tank. General Sir Edmund Allenby led the British Empire to victory in the Middle East in 1918. He successfully pioneered the combined use of infantry, cavalry and aeroplanes at the Battle of Megiddo.